The aim is to research possibility to create a set of criteria what capture economical growth, social progress, quality of life and sustainable development. Modern society emphasis on the need to apply economic management methods what encourage sustainable growth and create favorable environment for people. Applications of these attitudes maintain a need for new effectiveness valuation procedures. It is necessary to shift the focus of attention of economists and policymakers from production and growth to a concern for sustainable human well-being. This a challenging issue for economics theory, because along with criteria like gross domestic product, productiveness and other is required to apply complementary economic performance indicators to better capture social progress, sustainability of society and quality of life of different social groups. Development of these criteria could be an important issue for modern economics. Interdisciplinary research of change of concept of effectiveness, application of qualitative and quantitative methods. Development of modern valuation tool, what can be used to research proposed and implemented economic strategies to investigate how well these strategies are designed and exploited for achieving sustainable development, social progress and well-being. Economics of well-being, valuation criteria, quality of life, social progress. 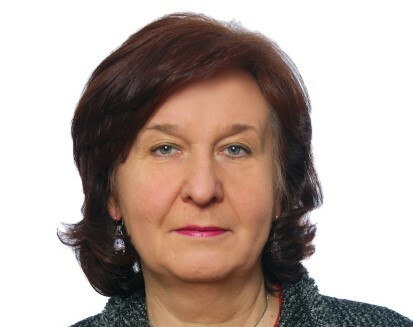 2012 - Sinevičienė, Lina; Vasiliauskaitė, Asta. Fiscal policy interaction with private investment: the case of the Baltic States // Inžinerinė ekonomika = Engineering economics / Kaunas University of Technology. Kaunas: KTU. ISSN 1392-2785. 2012, Vol. 23, no. 3, p. 233-241. [Social Sciences Citation Index (Web of Science); Business Source Complete; IBSS International Bibliography of the Social Sciences; CEEOL; DOAJ]. [IF: 0,972, AIF: 1,193 (S, 2012)]. [M.kr.